There aren’t many women who wouldn’t like to have nice lips. Fortunately, Restylane® Silk is one of the dermal fillers that enhances the lips and fills in fine lines around the mouth. Since it’s made from hyaluronic acid, a naturally-occurring molecule in the human body, Restylane® Silk can give the lips a fuller yet natural appearance. A Look at Restylane® Silk With several different products available for lip enhancement, many patients want to know what makes Restylane® Silk different. When compared with the regular version of Restylane®, the Silk version is different because it’s smaller and smoother. The size of the particles within the formula are much smaller than what you’d find in the regular version of Restylane®, which helps the filler to spread out evenly. Due to its versatility, Restylane® Silk is regularly used to smooth fine lines around the mouth and enhance thin lips. The end result is fuller, smoother lips. 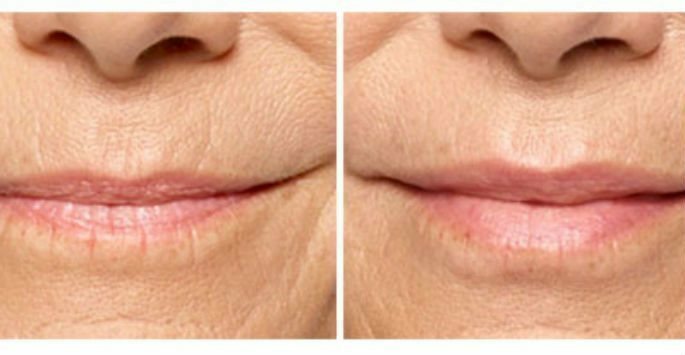 How Restylane® Silk Works Whether you have always had naturally thin lips or you are just starting to see fine lines appear around your mouth, Restylane® Silk may be able to help you. It is designed to restore fullness to this area, and unlike some alternative products, it produces results that look natural. By using smoother, smaller particles, Restylane® Silk offers subtle, beautiful results, and it also produces fewer side effects. During the treatment, the product is skillfully injected into the lips and/or the area around the mouth, and it will increase lip fullness while smoothing out small (fine) wrinkles around the mouth. Since the Silk version is less viscous than regular Restylane®, it flows easily through the syringe to the targeted area of treatment. To minimize discomfort, the formula contains a small amount of lidocaine. Once the treatment is finished, you’ll have restored and/or fuller lips. The results from the injections can last six months or longer. Contact Our Office Today If you’re looking for subtle lip enhancement or just rejuvenation, Restylane® Silk is a treatment option worth considering. It can give you the look to your lips you’ve always wanted while also minimizing the appearance of fine lines around the mouth. It does this with minimal downtime. We encourage you to make an appointment at ReFresh Aesthetic Center in Whitefish Bay to learn more about this treatment option. Contact us today to schedule a consultation!